Competition for the US weed market is smoking hot after Horizons ETFs announced it had filed its final prospectus to launch the Horizons US Marijuana Index ETF. Units of the ETF have been conditionally approved for listing by the NEO Exchange and are slated to begin trading on Thursday under the ticker symbols HMUS (Canadian dollar) and HMUS.U (US dollar). HMUS is solely focused on providing exposure to companies with significant business activities in, or significant exposure to, the US marijuana or hemp industries. Passively managed, it will seek to replicate the performance of the US Marijuana Companies Index. Horizons were pipped to the start line at the last minute by Evolve ETFs, which had filed a preliminary prospectus for Canada’s first actively managed US marijuana industry focused ETF (USMJ) and will start trading on NEO on Wednesday. Horizons will charge a management fee of 0.85% (plus applicable sales tax) for the exposure to a basket of producers, developers and suppliers of marijuana-based products. It can also include investment companies focused on investments in the industry or firms with business ancillaries. Steve Hawkins, Horizons president and CEO, expects the US to further liberalize its cannabis regulations and predicts growing investor demand. He said: “While marijuana remains federally illegal for medical and recreational usage in the United States, the number of legal cultivators and distributors at the US state level continues to grow. Many of these companies have chosen Canadian stock exchanges to list their stocks in order to raise capital to meet growing investor demand. Horizons said that for a security to be eligible for the underlying index, the issuer will generally need to have a market cap of greater than $75 million. 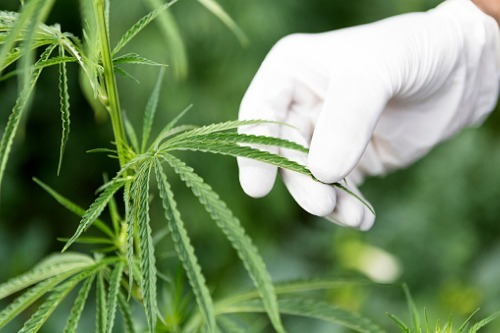 As of April 15, the top-five holdings were: Curaleaf Holdings Inc (12.60%), Cresco Labs Inc (11.94%), Charlotte’s Web Holdings (10.96%), Medmen Enterprises Inc (8.68%) and Green Thumb Industries (7.61%).